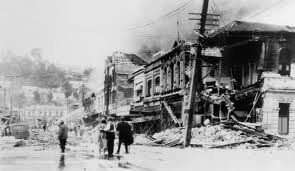 As New Zealand comes to terms with the earthquake on Saturday which hit Canterbury and one of our four main cities, Christchurch, I can't help but reflect back on the "big one" that hit Napier, my home town, in 1931. 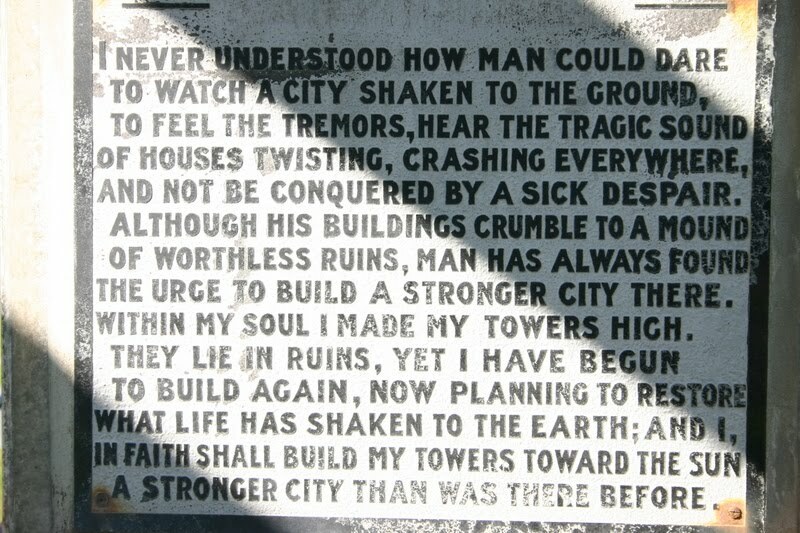 It registered 7.8 on the Richter Scale, and cost 258 lives. This was one of the main streets in the CBD before the earthquake. This picture shows the nurses' hostel where some nurses had been asleep after night shift. 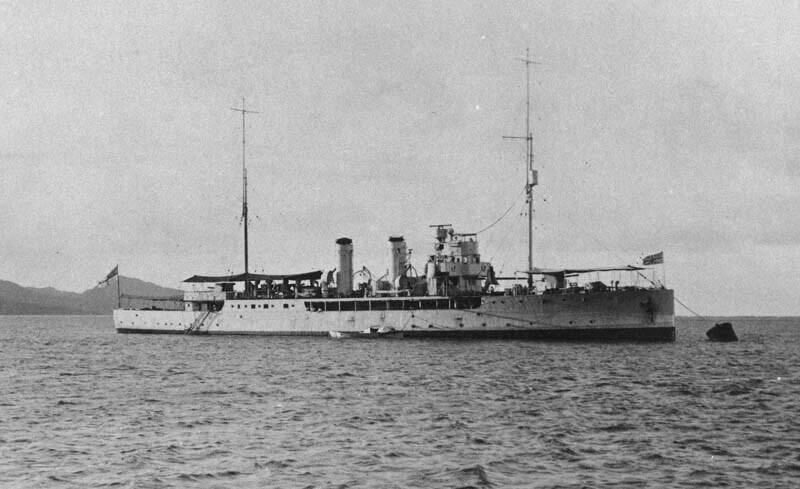 Lying at anchor in the bay was the HMS Veronica. The earthquake raised the seabed and left the small British warship temporarily grounded. In the following days the crew of this ship became our heroes. 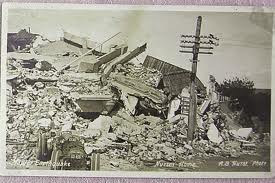 In the immediate aftermath of the earthquake, all outside communication on shore was cut off. 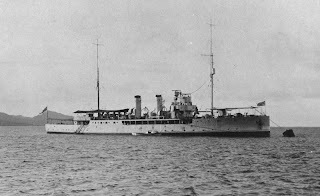 HMS Veronica provided outside communication and alerted the rest of New Zealand to the disaster and enabled other naval ships to arrive the following day laden with supplies, doctors and nurses. 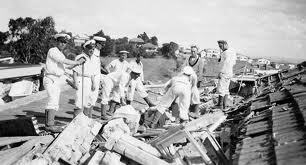 While waiting for this relief, the sailors of the HMS Veronica stepped into the breach. Within 10 minutes sailors were helping with rescue work. Over the next several days they worked tirelessly to scour the city for food, bedding and clothing for emergency camps and hospitals. They established a food depot and cooked meals for 2,000 people. 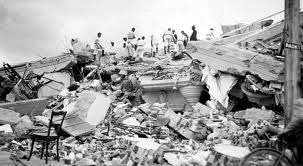 They searched for survivors, moved patients from the shattered hospital, demolished buildings, and patrolled the streets. 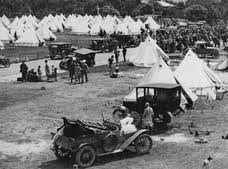 They sheltered many refugees aboard the HMS Veronica itself. 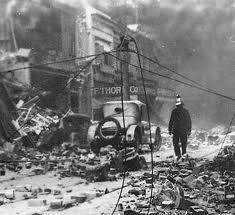 They also helped to fight the many fires which broke out and which raged for several days. 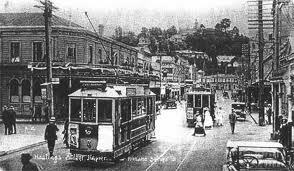 Their presence is credited with preventing panic from breaking out among the population. 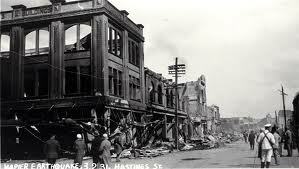 The crew of the HMS Veronica will never be forgotten in Napier, even though it was almost 80 years ago. A beautiful sunbay, aptly named the Veronica Sunbay, was built on our Marine Parade. In 2005 we honoured them with a commemoration service held in front of the Veronica Sunbay. In the background you can see the Veronica Bell, saved from the ship before she was scrapped in 1935. Napier's memorial to the earthquake which changed our city forever. 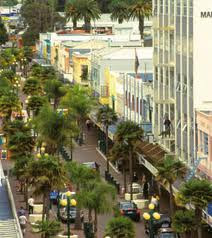 And some images of Napier as it is now. The Veronica Sunbay is just visible to the far left. 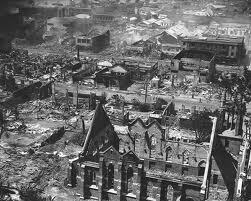 Napier literally rose from the ashes and Christchurch and the surrounding areas will too. In the meantime, God Bless all those providing assistance. 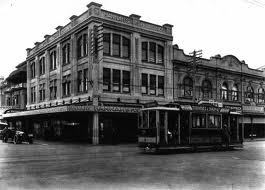 We in Napier know how much this is worth.